For more than 40 years, an ambition of catalysis science has been to persuade homogeneous catalysts to behave more like heterogeneous catalysts, while still maintaining their activity and exquisite selectivity. Professor Christopher W. Jones of the Georgia Institute of Technology discussed the state of current research on a class of coordination complex (metal-salen) catalysts, and how his research team is making progress in anchoring them to solid support materials. His talk on January 31 was part of the Frontiers in Catalysis Science and Engineering Seminar Series. The seminars, held at Pacific Northwest National Laboratory, allow experts to share results of studies and novel ideas. Separation Anxiety: In homogeneous reactions, the toughest challenge is separating the catalyst from the reaction medium because the catalyst and the reactant have the same phase of matter. Solid phase heterogeneous catalysts, on the other hand, are easier to separate from the reactant, which may be a liquid or a gas. Finding the solution to the separation problem for homogeneous catalysts, while still maintaining high catalytic activity and product selectivity, is a major challenge that limits their wide-spread use in industrial applications. The solution to this predicament may be to anchor a homogeneous catalyst, such as a typical organometallic compound, onto a solid support material. With homogeneous catalysts, you have more precise control over the local molecular structure. Unlike heterogeneous catalysts, the reaction sites can be uniform and, thus, are more selective for the desired products of a catalytic reaction. In this case, there are several problems to overcome to achieve a good reaction. First, how to anchor the catalyst to the support and get it to stay attached? Second, once attached, it must be persuaded to remain intact and behave as it did before. Finally, how long will the catalyst stay in the reactive state? It is important to perform the correct anchoring to achieve a separable, yet still active and stable catalyst. Deactivation: The Achilles Heel of Catalysis: Many prior studies have not determined catalyst performance on reasonable timeframes which accurately measure the stability of a newly anchored homogeneous catalyst system. If the time period is too long, it will not match real-world conditions. The results of such studies may not be meaningful. "Even a pretty bad catalyst can carry out a batch catalytic reaction to completeness over a very long time period," said Dr. Charles Peden, Laboratory Fellow and Interim Director of the Institute for Integrated Catalysis at PNNL. Professor Jones and his team are working on detailed studies of how their anchored metal-salen catalysts are deactivating, using reaction conditions where meaningful catalysis kinetics measurements can be made. By understanding how and when the catalyst deactivates, better catalysts can be designed from the beginning to prevent those specific deactivation mechanisms. "Catalysis is an entirely kinetic phenomenon. Kinetics should always be accurately reported in catalysis," said Jones. Knowing whether the catalyst is stable on the support is key. And that gets back to correct anchoring to get a separable catalyst. Anchoring homogeneous catalysts on solids is an expensive process, so stable catalysts are needed to make them economically viable. "If the catalyst deactivates severely, the cost to create the material is not justified. Deactivation is the Achilles heel of these catalysts," said Jones. Which is why, to date, there are few good examples of practical applications for anchored homogeneous catalysts. Creating stable and separable catalysts that continue to carry out their designed catalytic reactions remains the ultimate goal. 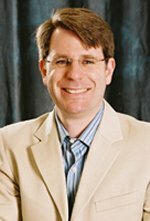 Bio: Dr. Christopher W. Jones is professor in the School of Chemical and Biomolecular Engineering at Georgia Institute of Technology, and the J. Carl & Sheila Pirkle Faculty Fellow. Most recently, he is the founding editor-in-chief of ACS Catalysis, and winner of the 2010 Ipatieff Prize from the American Chemical Society. Dr. Jones' research focuses on fundamental problems in understanding the chemical and physical properties of synthesized solid materials that are used for catalysis in the energy, fine chemical and pharmaceutical fields.